To listen to my little rant? 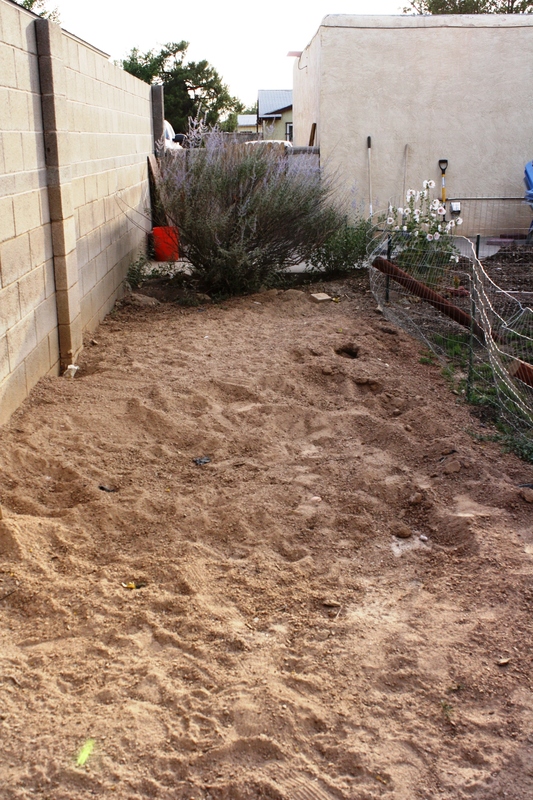 In my last post I mentioned a big reveal for the final work on my yard. However, the big reveal really is more of big let down. See, I got lazy and thought I could hire someone to do the remaining yard work for me. So, hire I did, I called a contractor I’d worked with one time before, he quoted me a fairly reasonable rate, so I set up a time for he and his constituents to come and complete the work I had started. 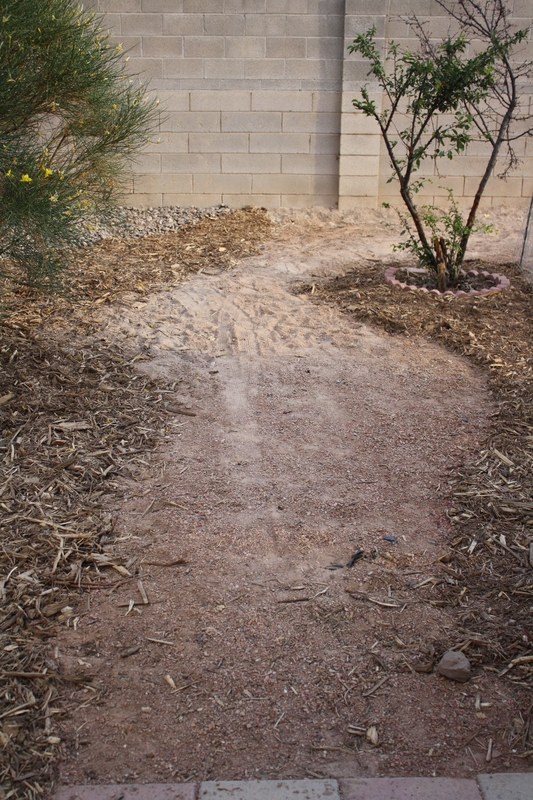 The task: to spread mulch over exposed dirt along the perimeter of the backyard and front yard, and reuse crusher fines from the back and place them in a pathway in the front. 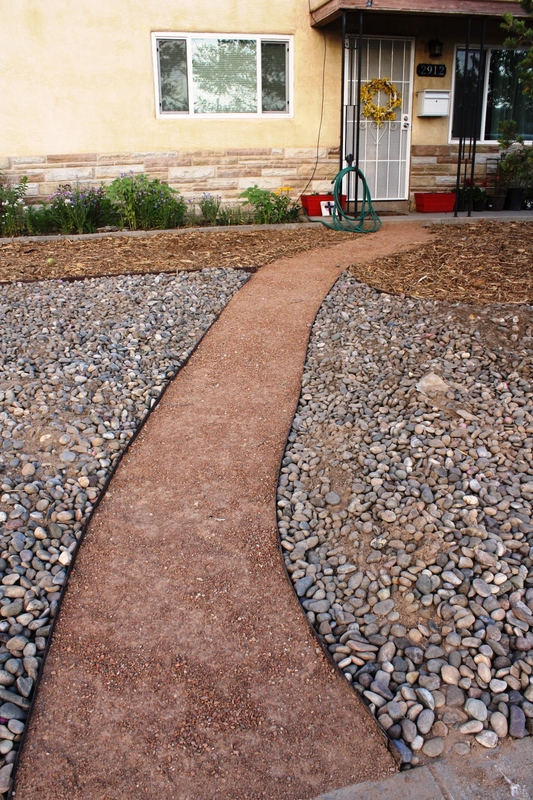 I love the path, it’s exactly what I had in mind, and I got to reuse my old crusher fines. 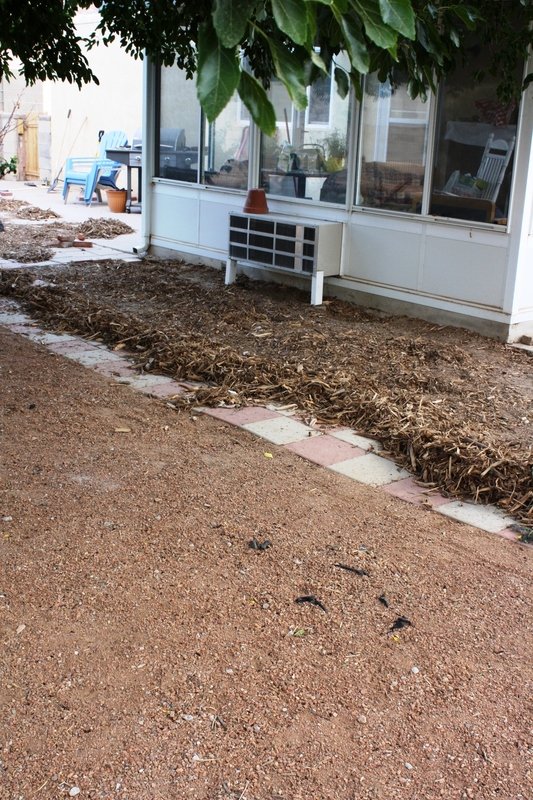 However, the mulch isn’t quite what I had expected. Turns out the contractor got it from the City for $5.00 a load. 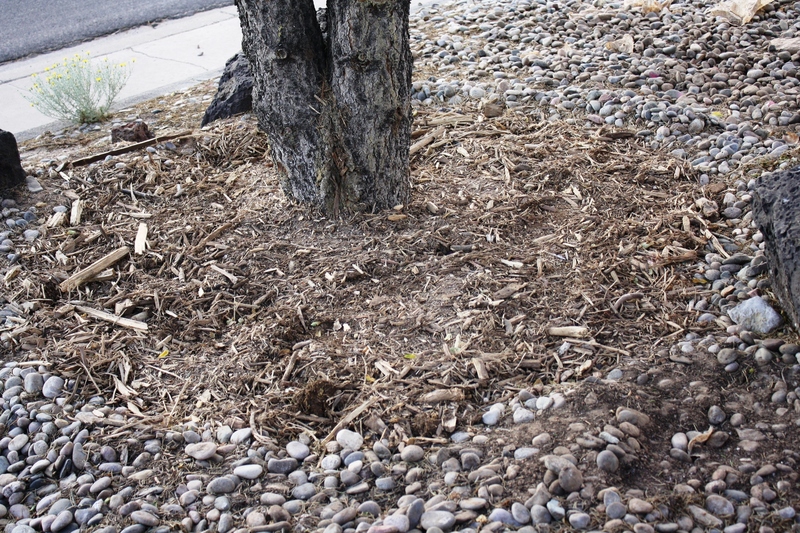 Meaning that, the stuff that has been spread all over my yard is shredded up yard waste from all over the community. The professional I hired did not share this little tidbit with me, until after it had been spread and I complained about the quality. Oh yes, and after payment had been received. This sort of mulch is great if you’ve got a large lot and just need some cheap ground cover. In fact, I think this is a great way of instituting the 3 R’s. But (yes, I’m full of those aren’t I?) it just doesn’t work in our yard. First of all, we don’t have a back 40 that needs cheap ground cover, secondly, the chunks are too big and too sharp for the brat dogs to play on, and thirdly, I don’t have the time or the desire to sift through a ton of mulch to remove unwanted materials. 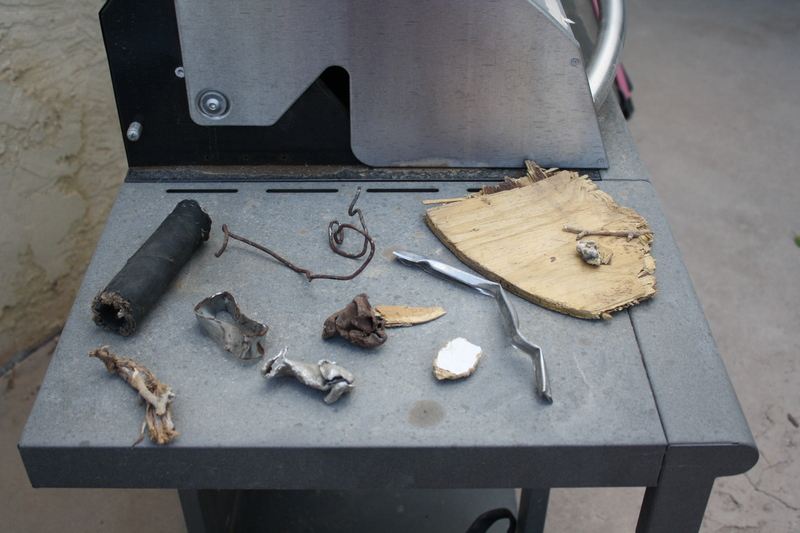 Scary pieces of sharp metal, large pieces of ugly particle board, and various chunks of trash. 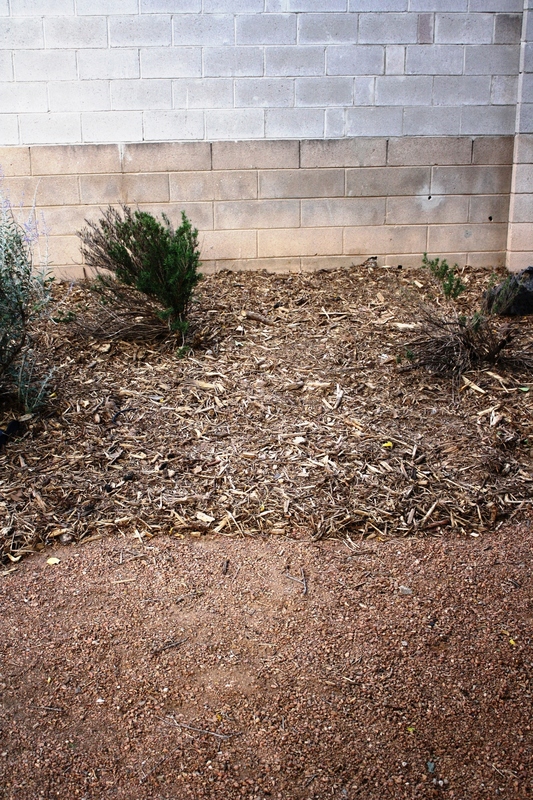 Excuse my half dead Rosemary, but notice how thickly the trashy mulch has been laid down. It’s going to be a booger to pull up or even sift through. A pile of discarded crusher fines! The plan was to use these throughout the yard but with every available surface covered with the trashy mulch, I really don’t know what to do with the extra crusher fines. 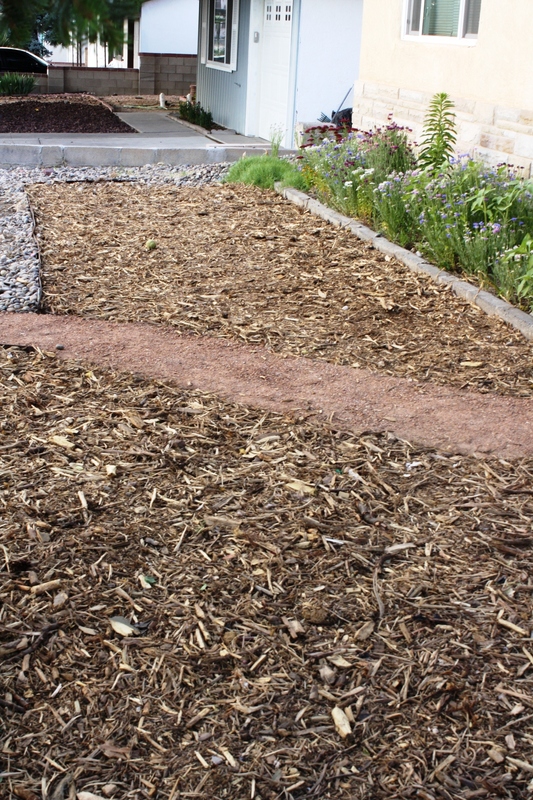 And yes, I did ask that mulch be put on exposed soil, however, I underestimated how much crusher fine would be used in the front. So, I’ve been sifting through the wood trying to sort good wood, bad wood, trash, plastic, and metal. 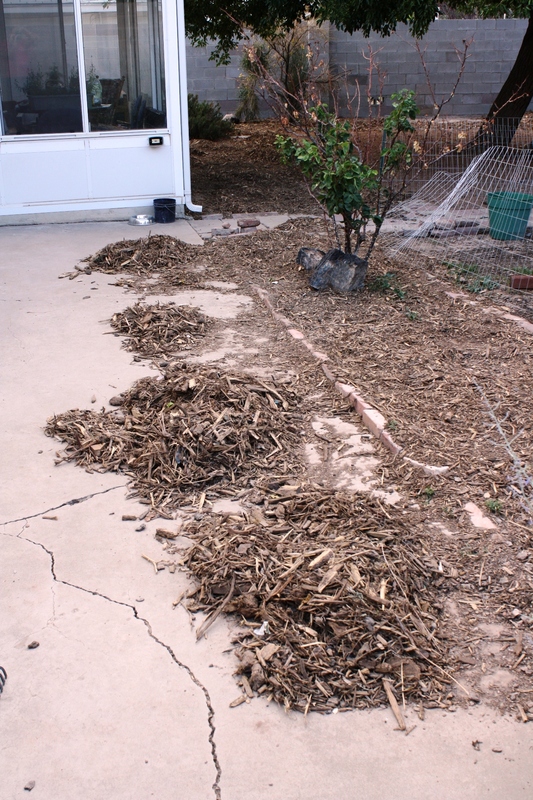 Now I’m left with some decisions to make, should I continue sorting and sifting, should shifting of the ugly mulch begin in preparation for the placement of prettier mulch, or should I start all over again and give it away to a mulch needing soul on Craigslist? 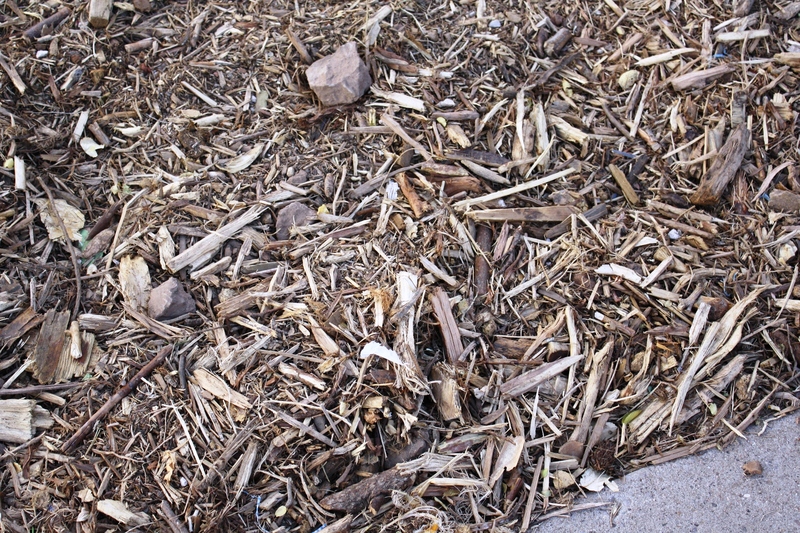 I realize that any mulch will have some non-compostables, but should they be so abundant that they take up bulk of the ground cover? And to top it all off, I’ve got a backyard party planned in less than a month! Invites have been sent so there’s no backing out now! Chalk this one up to an expensive and time consuming lesson in home improvement.